In Gossip Girl Season 1 Episode 15, we met someone more conniving than Blair and with a bigger appetite for partying than Serena Van Der Woodsen. Serena and Chuck were right to be afraid. Georgina, a role that was originally offered to O.C. alum Mischa Barton, was out for blood and there was only one person she wanted it from. For the majority of the episode it just seemed like Georgina was a wild girl who was desperate for her former wing-woman. At some point she almost seemed a little into Serena. But towards the end, it became obvious there was a dark secret between the two former besties. Whatever it was, if it's too scandalous to share with Chuck than it's probably something Olivia Pope couldn't even fix. Serena: This is not about last year Georgina, it's about last night! Serena: I'M NOT TALKING ABOUT IT GEORGINA, OKAY?! And neither are you. If I going down, you're going down with me. In the meantime, stay out of my life. Georgina: I don't need anyone in my life who doesn't wanna be there. It seems logical to everyone watching that Serena should just say "Hey Dan, there's this ex-friend trying to come back into my life and she represents a part of me that I left in the past and would like to stay in the past." It's the mature way to handle it, but she was 17 when this happened, and even younger when the scandalous incident occurred. Dan being so madly in love with Serena, probably would've been on her side. Then again, there's also the judgmental side of Dan who would probably then want to know what the incident was and worry that maybe Serena's past wasn't so far away after all. There were several incidents where Dan judged Serena based on her past, so why would she want him to find out the worst thing she'd ever done? So fine, I understood Serena's reasoning. 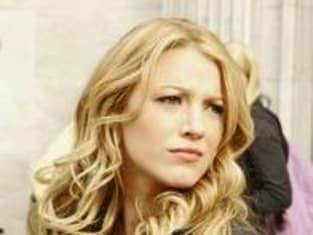 The flaw in Serena's plan was that she was emotional and not a plotter like Blair. Sure she may brush off gossip better, but when true drama hit Serena, she tended to lose it. Chuck tried his best to contain things, but the two dopes couldn't even coordinate their lies and stories. We all know what happened when Dan became increasingly frustrated and pushed away by Serena, but we'll get to that in the next rewatch! Blair was in great spirits for this episode. She had her minions back temporarily for the purpose of a massive takedown where everyone's academic careers were at stake. Nothing unites former enemies faster than the threat of a new, bigger enemy. It was SAT time and everyone was focused on super-student Nelly Yuki. The girls needed to eliminate the threat. Jenny and new Jenny (already forgot her name) focused on finding Jenny a King to her Queen when she assumed she would take over the Constance hierarchy. We met Asher, Asher sucked up to Rufus, and Jenny's probationary period in the Humphrey household loosened up ever so slightly. Elsewhere, Nate and Vanessa started their random romance much to the chagrin of Blair, and sorta Dan. I don't know, it always seemed kind of random but I didn't hate them together. I guess I just didn't care all that much. So what was your first impression of Georgina? Was she all you expected and more? Vote below and hit the comments! Awesome, devious goodness! I couldn't wait for more! So lacking, wish they had cast someone else. Too soon to tell, but she's definitely shady! NOTE: You can always watch Gossip Girl online at TV Fanatic! Isabel: So how did you get Todd to play along? Blair: Hey Is... what are you doing tonight? Blair: Fine, I guess I'll have to come up with something else. So you want to distance yourself from your mistakes by staying away from me. Round Table: "Desperately Seeking Serena"